Mormon Wookiee: #21: That one holiday between Halloween and Christmas. #21: That one holiday between Halloween and Christmas. Ah, November. Time for University of Utah football, turning on the heater in my 1995 Buick Century (light blue with rust), and Thanksgiving. Sometimes I feel bad for Thanksgiving. It has to compete with the hangover from Halloween candy while also trying to not get overlooked by Santa, Rudolph, and Best Buy. In fact, this year is the first time ever that "Black Friday" shopping will actually begin on Thanksgiving day. A few of the major retailers, such as Wal-Mart, Toys 'R Us (I don't know how to make the "R" backwards!!! 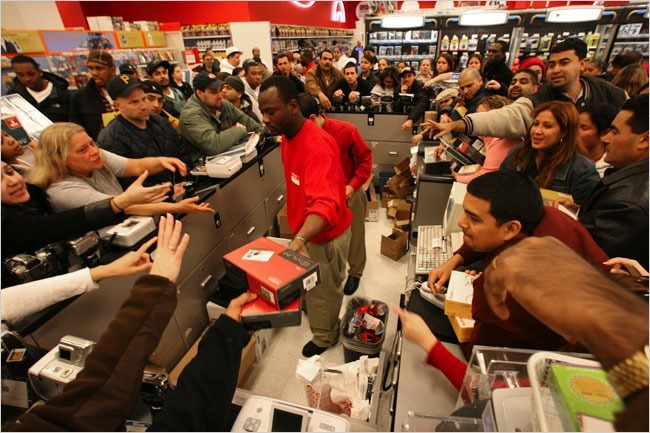 ), and Target are starting their Black Friday deals at 10 PM on Thursday. I wonder how Mr. Lincoln would feel about our growing desire to go deal-shopping on a day that he dedicated to family, friends, and giving gratitude to God for our blessings. Just something to think about this week.